Send a message- all from one page you have the ability to quickly select your channels, audience and message. Citizen Experience- See how citizens can select what they want to be notified for, on what devices and in what language. IPAWS- CivicReady integrates with FEMA’s emergency alert solution, IPAWS. Apps & Geofencing- Learn how CivicReady empowers both citizens and administrators with powerful mobile apps. Geotargeted Notifications- Learn how to communicate to those most likely impacted by an emergency or event. 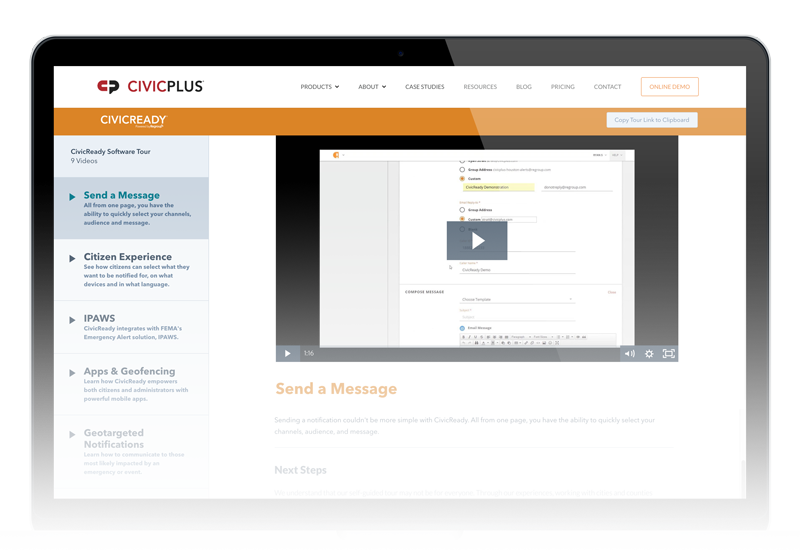 Multilingual- CivicReady supports automated multilingual translation in 13 different languages. Reporting- Learn how we verify that your intended audience has received your message.